The 10th International Training Conference was organized this spring in St. Petersburg, Russia, with participation of experts from 18 countries. Semmelweis University’s András Pető Faculty was invited to the jubilee conference by its Russian partner institution, the Nekrasov College and by the Education Committee of the Municipality of St. Petersburg. The central theme of this year’s conference was integration and inclusion, namely the possibilities of integrating disabled people into healthy society. 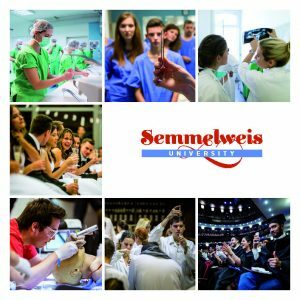 The Russian visit also provided opportunity for negotiations on the expansion of cooperation between Nekrasov College and Semmelweis University. Dr. Andrea Zsebe, Dean of the András Pető Faculty, delivered a plenary lecture on the role of conductive education in social integration, the competence of the conductor, as well as on the present and future of the specialist training at the faculty. The Faculty and its predecessor institutions have more than 50 years’ experience in conductor training and the history of conductive education goes back to more than 70 years in Hungary. Andrea Zsebe presented two short films about the history of the training and about the experiences of a Belarusian mother of a little girl who had formerly been educated at the institution. The conference provided great opportunity for further negotiations with the leaders of Nekrasov College, a contracted partner for two years, including the evaluation of the cooperation up until now and the possibilities of expansion. The most important elements of the collaboration are short professional courses, student exchange programmes and a basic optional course organized for Russian professionals and college students. Dr. Andrea Zsebe visited a segregated primary and secondary school for children with central nervous system injuries, where the education of arts and parasports also have an important role. Dr. Zsebe also took part in the closing round table event of the conference with national leaders of Russian education politics. The discussions were focused on the importance of integration while maintaining segregated education.